Earlier this year, both East and South Ayrshire Councils approved plans by Ayrshire Roads Alliance to convert all remaining street lighting to LED lighting. In the proposals, around 80% of Street Lighting (16,441 in East and 15,141 in South) are set to be replaced over the next three years, reducing energy by around 50% and carbon dioxide by around 4000 tonnes. In addition to being more energy efficient, the move to LED street lights will greatly reduce single dark faults as they are more reliable and have a longer life expectancy than traditional discharge lamps. The white light from LEDs also gives much better night time vision and colour recognition. 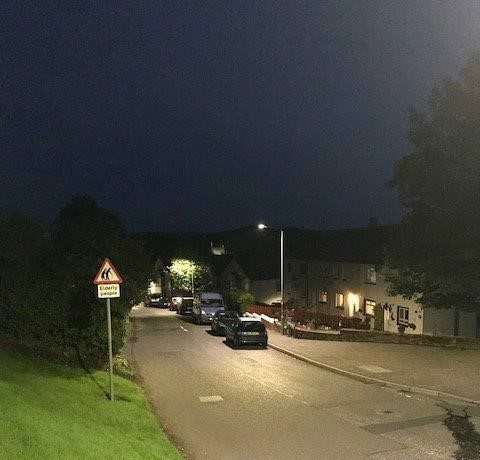 The East Ayrshire LED programme is currently centred around Dalmellington, Patna and New Cumnock with around 630 street lights fitted with LEDs so far this year. In South Ayrshire, 323 LEDs have been fitted in Ayr, Maidens and Maybole. The works are being carried out by both private contractors and our in house Lighting Maintenance Unit.